The Memphis Redbirds came back in the bottom of the ninth last night, scoring 3 runs to beat the Oklahoma City Dodgers, 5-4. The Redbirds take a 2-1 advantage in the playoff series and could win it tonight. Tonight’s game at AutoZone Park will have fireworks after the game. Tickets are now on sale for the Cooper-Young Beerfest. This festival, to be held on Saturday, October 20, features 35 breweries from around the region as well as beer from local homebrewers. 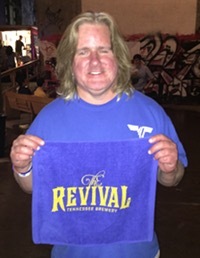 In my opinion, this is Memphis’ best beer festival because you aren’t there to see and be seen; you’re there to sample, ask the brewers questions, and learn all about the beer you are drinking. Tickets are $45 and they go up to $50 October 1. Yesterday I tried one of Pontotoc Lounge’s lunch specials. Every Friday they have their burger for $6 from 11 to 2. This was no Big Mac. 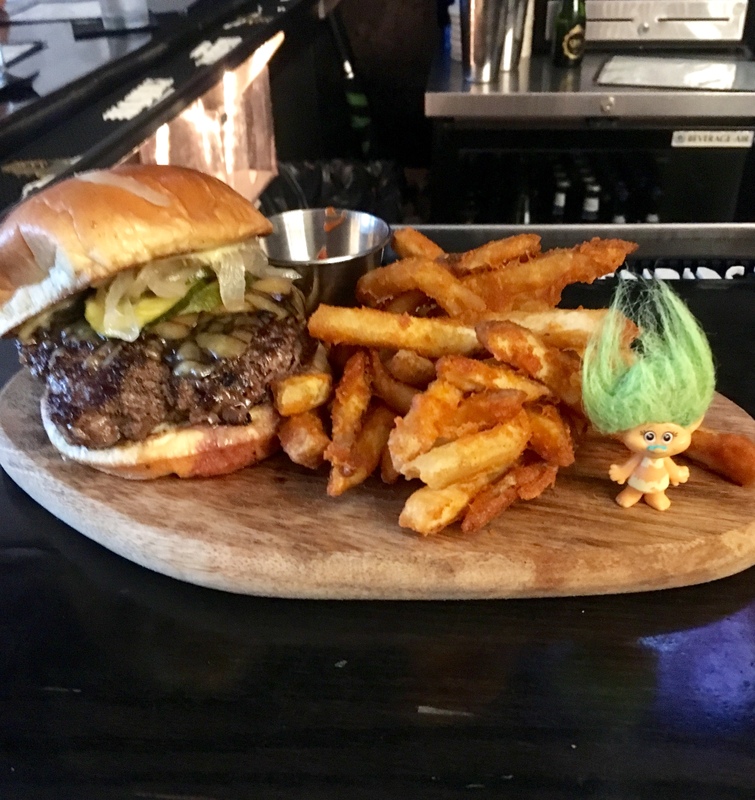 It was a gourmet burger, with grilled onions, pickles, and a sweet sauce. It was so juicy too, and so big that I couldn’t finish it. I was also pleasantly surprised to see my $6 included fries. A lot of places, when they run burger specials, run the special on only the burger and fries are extra. Pontotoc does it right. Plus, Perjorie T. Roll got to stand on a butcher board, which always makes her happy. Pontotoc Lounge has the $6 burger every Friday. They also have $6 specials at lunch Wednesdays (chicken casserole) and Thursday (Mississippi pot roast). 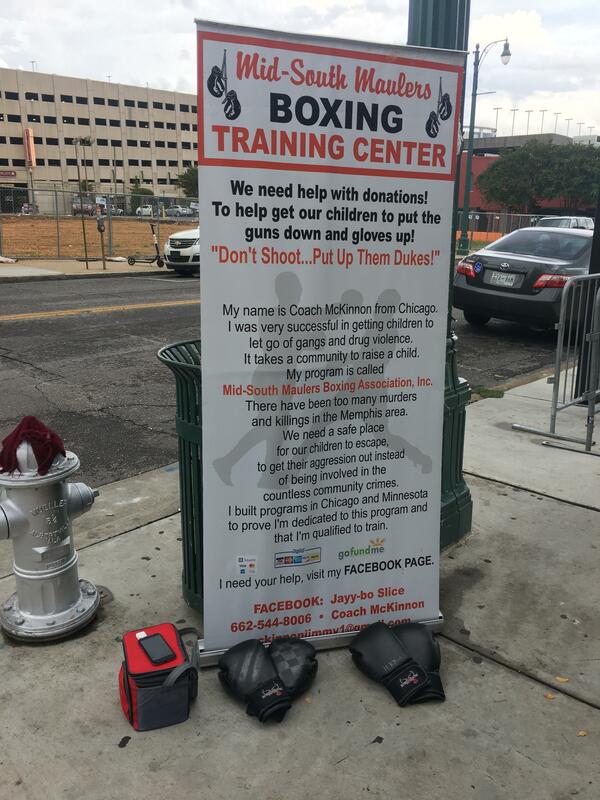 If any of my readers feel like talking to him and possibly supporting what he does, Coach McKinnon told me he’ll be at the corner of Main and Beale most every day. The Grizzlies are moving fully to mobile ticketing this season, and there will be no more option to print tickets at home or store them as a PDF. This will reduce problems with lost, stolen and fraudulent tickets. I wonder how it will work for people who have the old-style flip phones that can’t display images, though? Or people who forget to bring their phone to the game. The Peabody Hotel’s bakery and deli has announced its ice cream flavor of the month for September. In observance of the hotel’s 149th anniversary, it will be a cake batter ice cream with shortbread cookie pieces and swirls of raspberry jam. Downtown Memphis is getting a second Lisa’s Lunchbox location. Many Raymond James employees were making the six-block trek to the popular deli on South Front Street, and they expressed to the staff there that it sure would be nice to have a Lunchbox location in their building. Kickin’ chicken spaghetti every Wednesday! From the Today Show: Mustard pizza is a thing. That’s a pizza that uses mustard as its base rather than tomato sauce. Sure, I could get behind that. I’m going to be spending a lot of time on the south side of Downtown today! I’m leading off at the Farmers Market, then over to Earnestine & Hazel’s to say hello to Clarence. Then my “DAWG” John D and I made plans to switch our usual Saturday spot from Bardog to Max’s Sports Bar for one week only (he’s friends with the bartender apparently). Then at 4 I will head to Ghost River for the New Wing Order Downtown grand opening. The buffalo wing nachos are high on my list to try. Pictures tomorrow probably.